Nick Rizzo is the Head Women’s Soccer Coach at Monmouth College. He is a part-time triathlete, professional Google-er, and eternal optimist. He’s also the co-host of the @chatsoccr podcast. I’ve had my eye on his weekly #soccerchat’s and finally decided to reach out to him and ask if he would be interested in being a guest on this show. He countered with me being a guest on his show. And we ultimately agreed to be on each other’s shows. Nick is full of energy and passion. You can hear the genuine excitement in his voice. He absolutely loves his job. And it made for a very lively, honest conversation. You can find him and his #soccerchat shenanigans on Twitter. You can find their podcast on every podcast provider imaginable. If you’re looking for an episode to start with… try the one when they interviewed me. Mandy Pocho Tells Her Side of the Story About When She Met the Entire 3four3 Crew for the First Time. 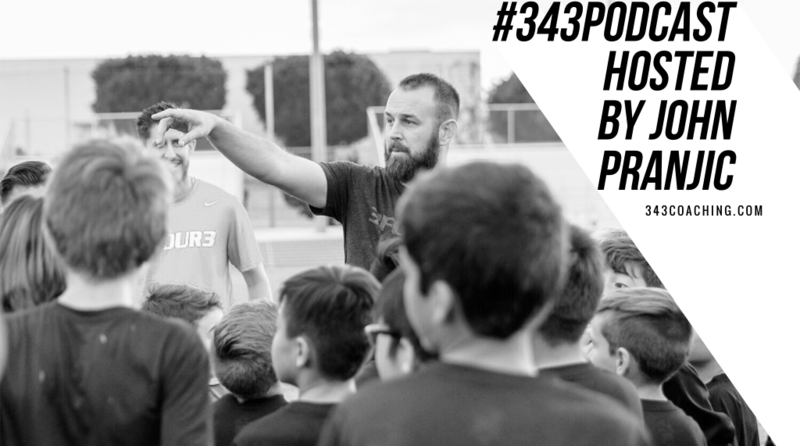 The post Episode 154: You Don t Have to Be in the Premier League to Absolutely Love Your Coaching Job appeared first on 3four3.